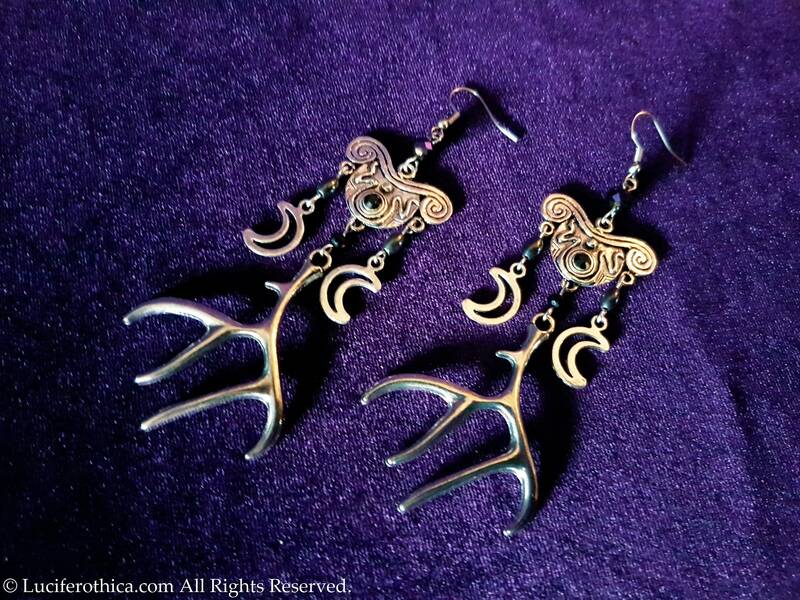 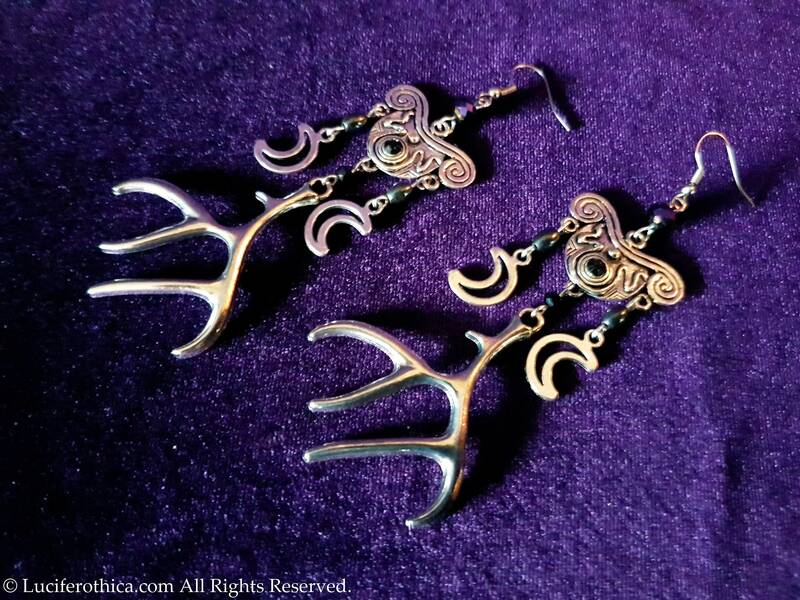 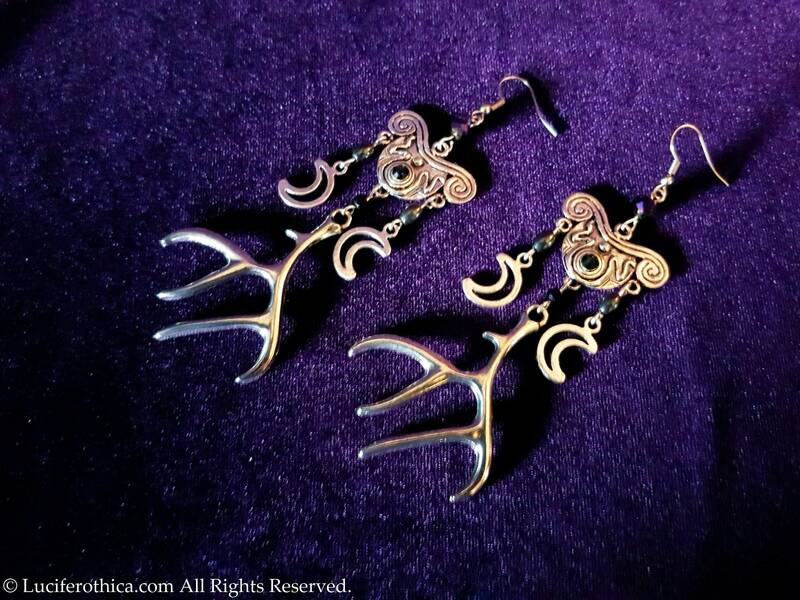 Handcrafted Earrings in honour of the horned god. 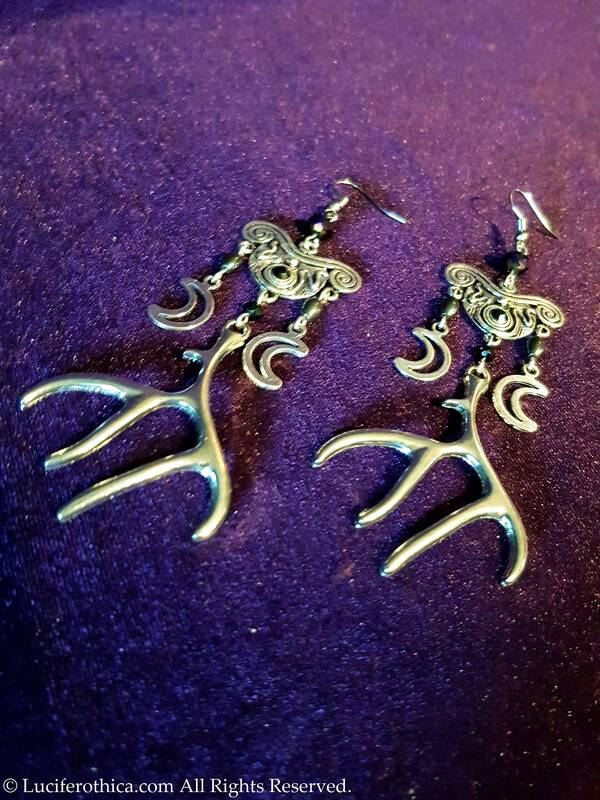 - Big Antlers ( silver colour). 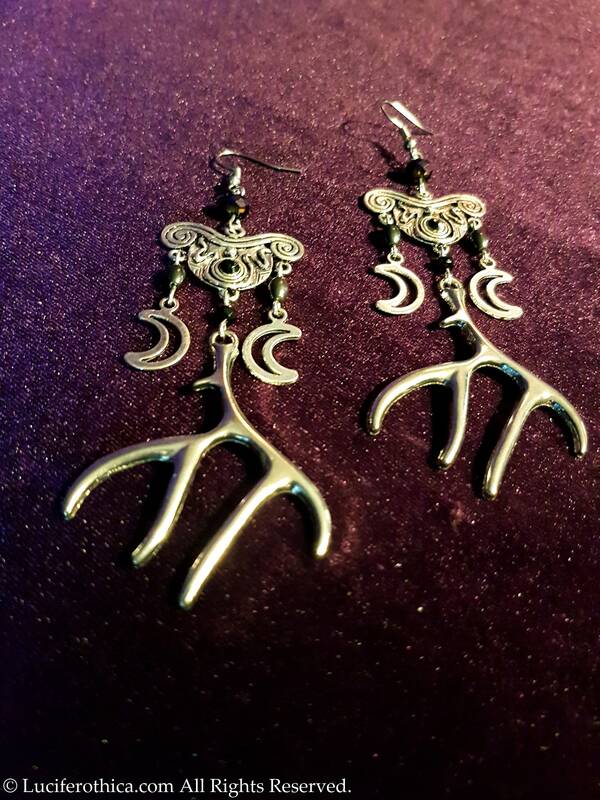 - 2 mini crescent moons attached to a beautiful ornament. 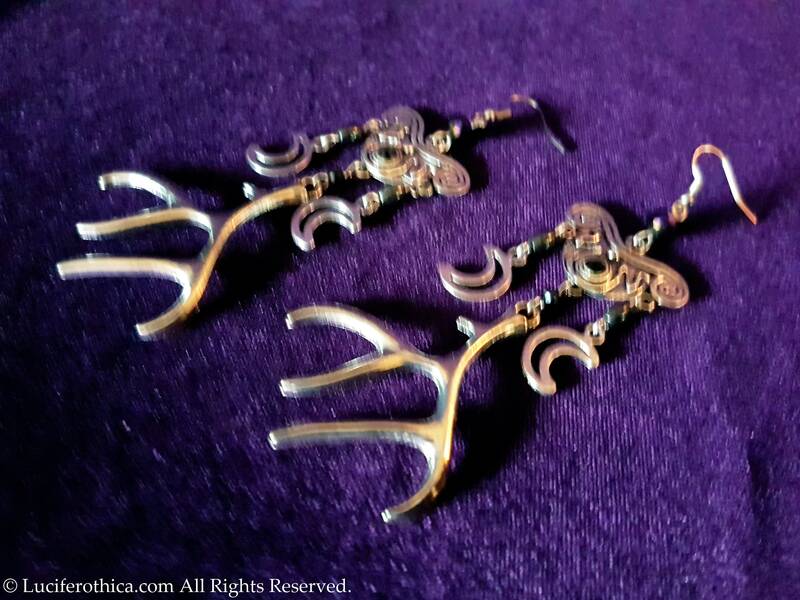 - Hematite beads and glossy black beads.